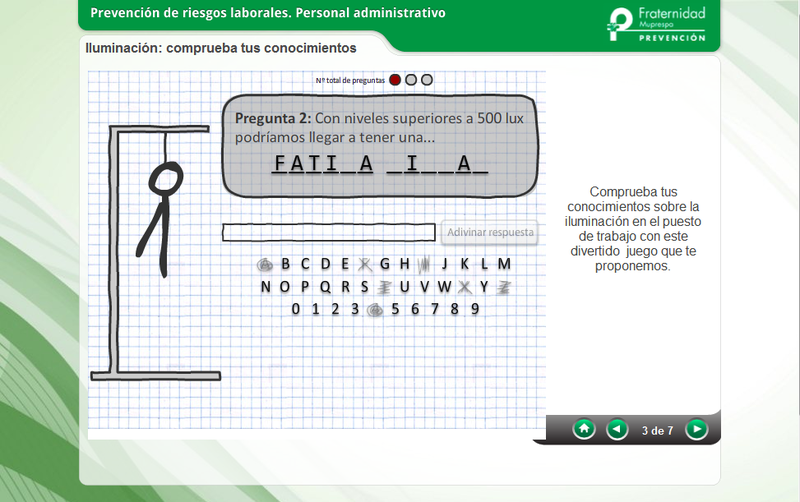 Client: Apa for Fraternidad Muprespa. 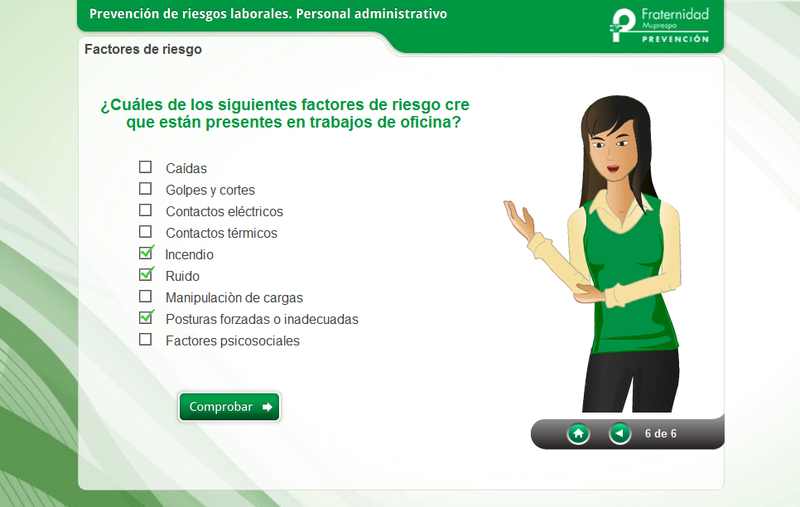 The Association of Prevention of Accidents, is a company that has a division specialized in the provision of face-to-face training and online in occupational risk prevention. 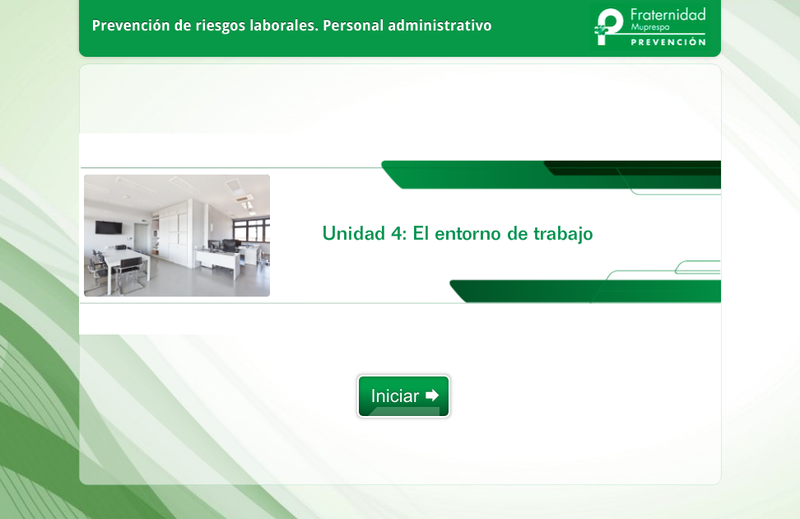 For the Accident Prevention Association, a project was developed for the Muprespa Fraternity of multimedia production , a posteriori edited by the client for a risk prevention course in offices. 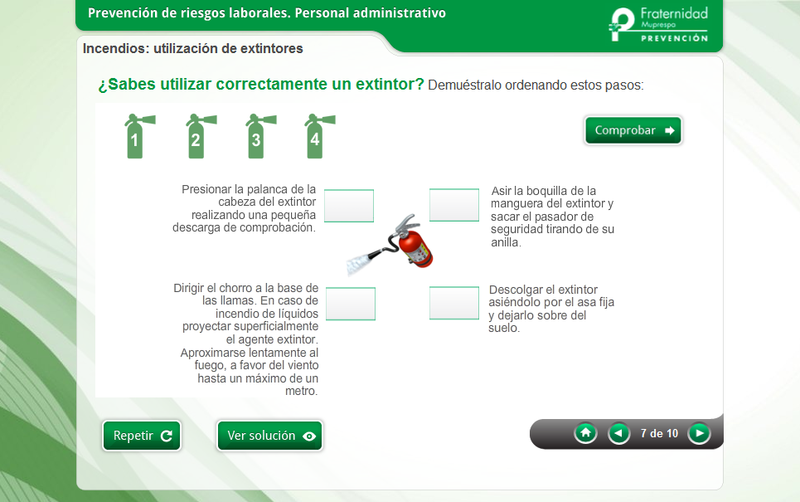 The content had several units in scorm format compatible with the different platforms in the market, and included interactive exercises type: hanged, game you want to be a millionaire, questions, discover content panels, a self-correcting final test and the issuance of a certificate attesting to having passed the course. It also developed an animated character to measure whose movement was synchronized with the various professional locutions that included the course. The content developed is compatible with different browsers and resolutions.